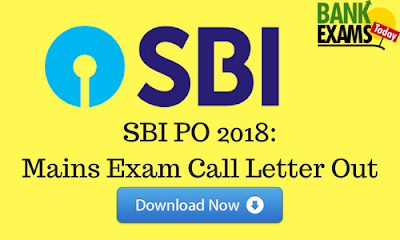 State Bank of India(SBI) has recently released the Mains Exam Call Letter for Probationary Officers post. You can download your Mains Exam Call Letter from here. Commencement of Call letter Download:- 21 - 07 - 2018. Closure of Call letter Download:- 04- 08 - 2018.